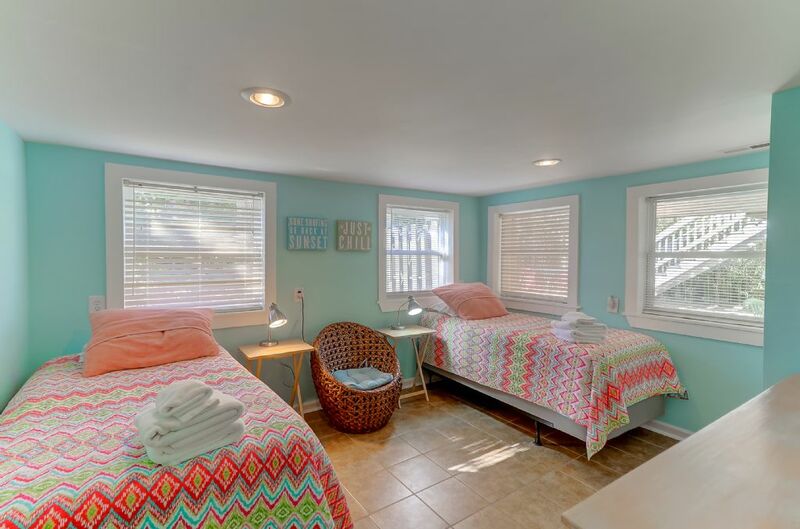 Welcome to 916 East Arctic- "Sandy Cheeks" on Folly Beach! 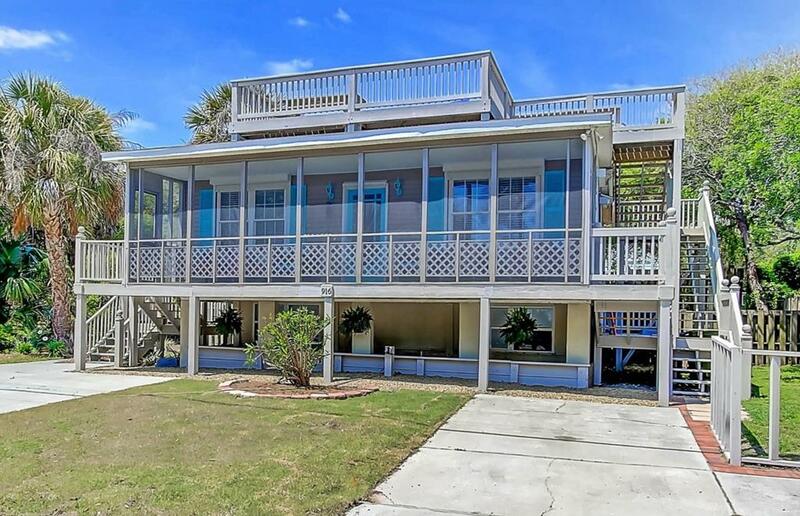 This home was built for the perfect beach vacation! 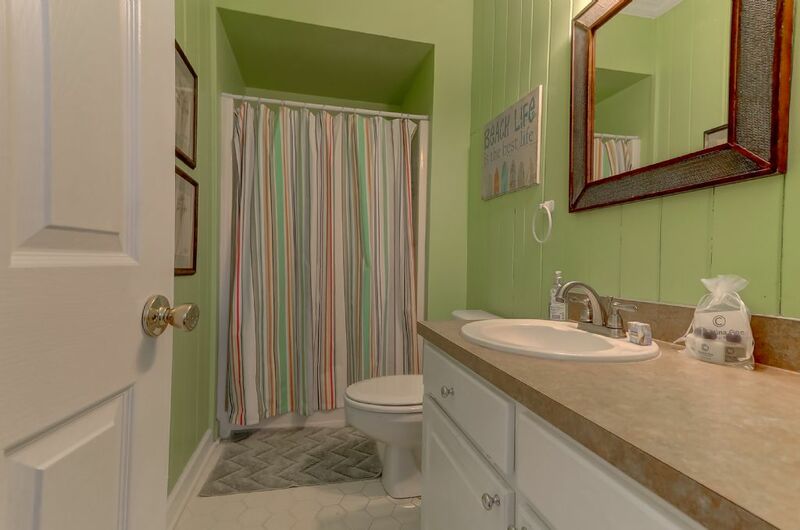 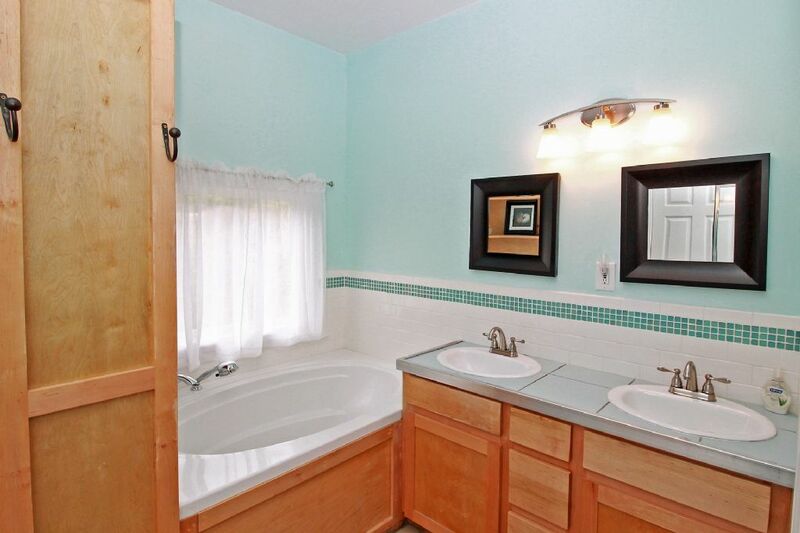 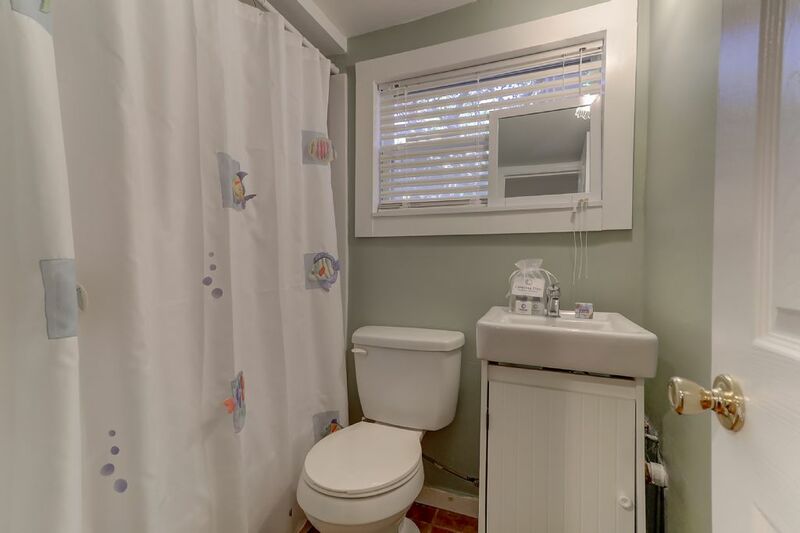 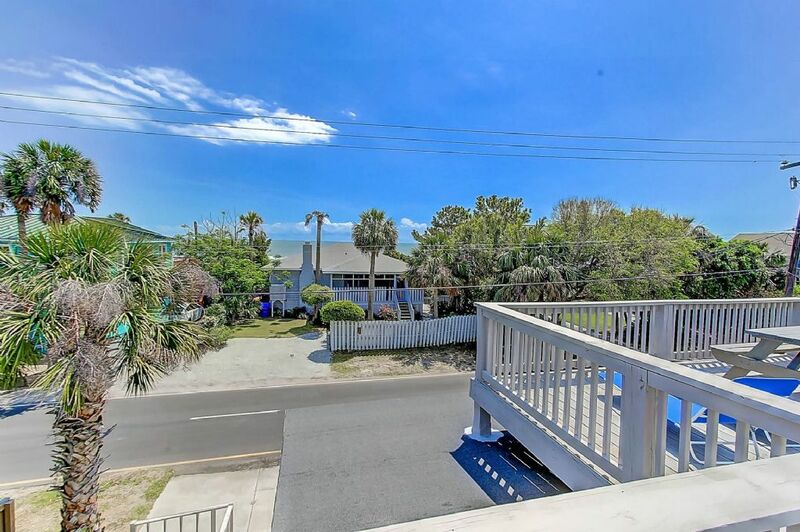 The home has 5 bedrooms, 3 full baths and numerous decks to enjoy the ocean breezes. 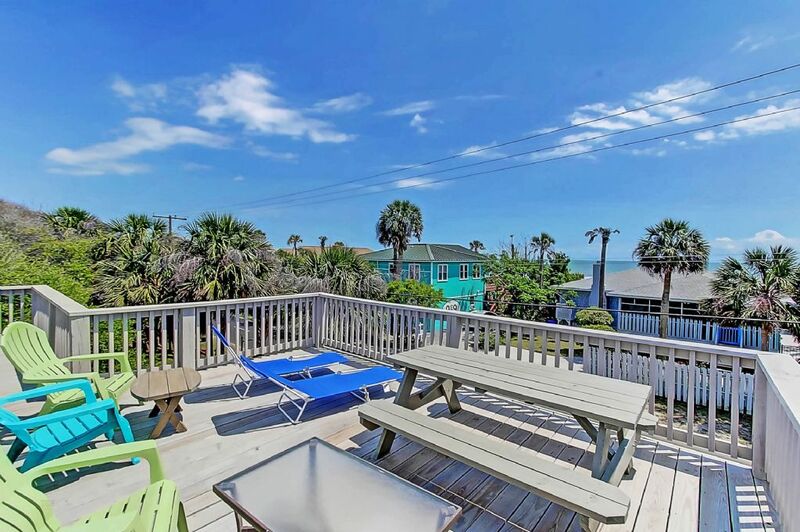 Rooftop deck includes beautiful ocean views and picturesque sun sets. 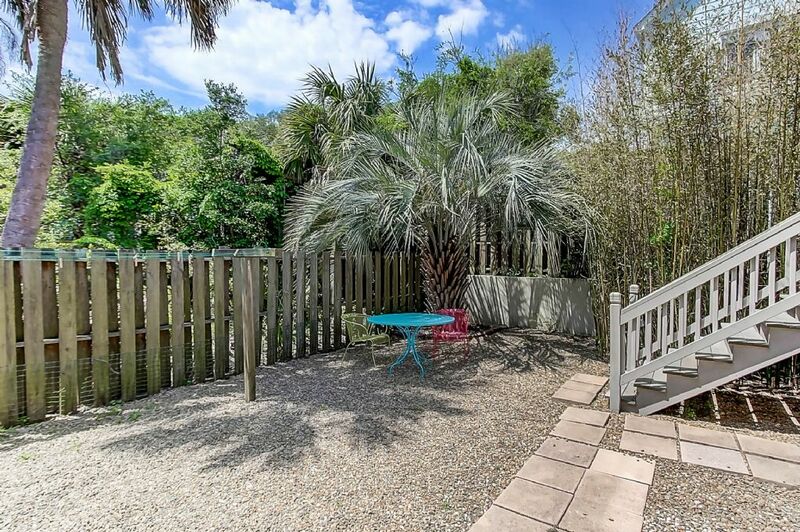 The fenced in yard is perfect for the family pet who is welcome to enjoy Folly Beach as well! 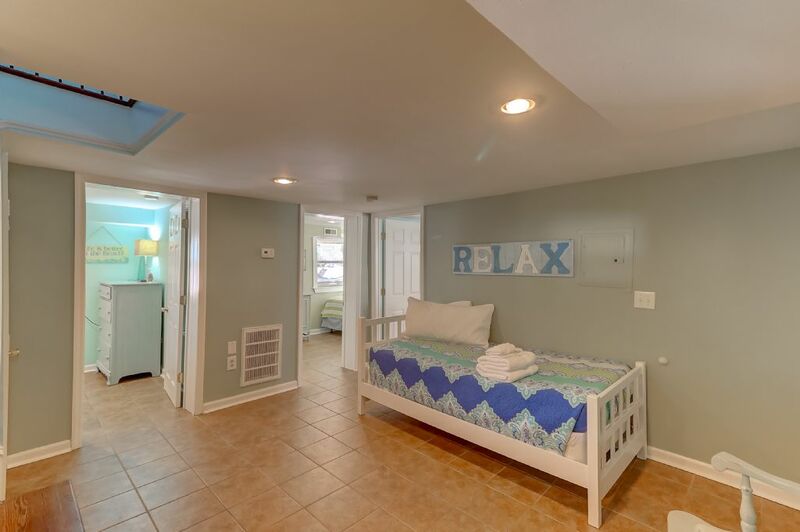 We gladly accept all pets and have no breed restrictions so everyone can enjoy the beach! 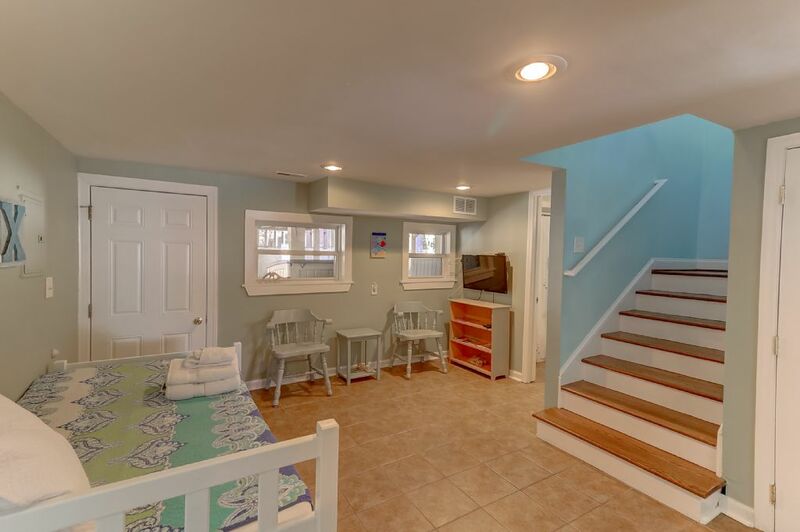 Only a short walk to the beach access is great for families and only a short bike ride to Center Street 916 East Arctic will be a repeat vacation destination for years to come! 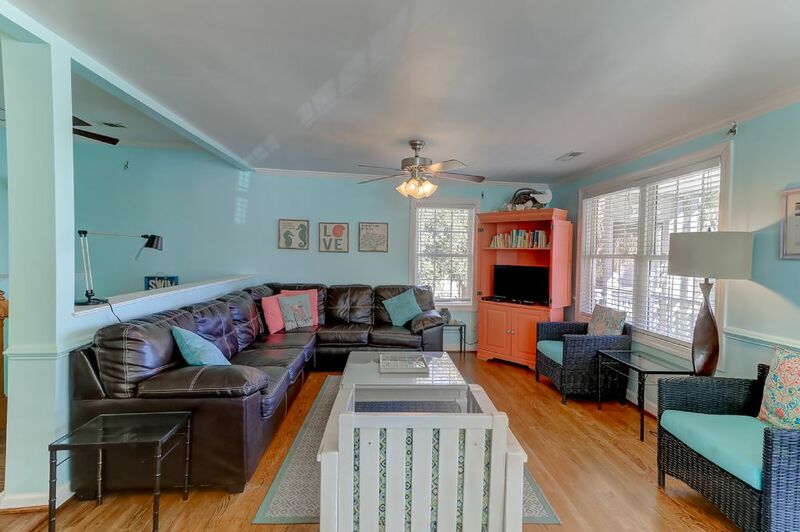 The top floor has a large living area with flat-screen tv and ample seating for the family. 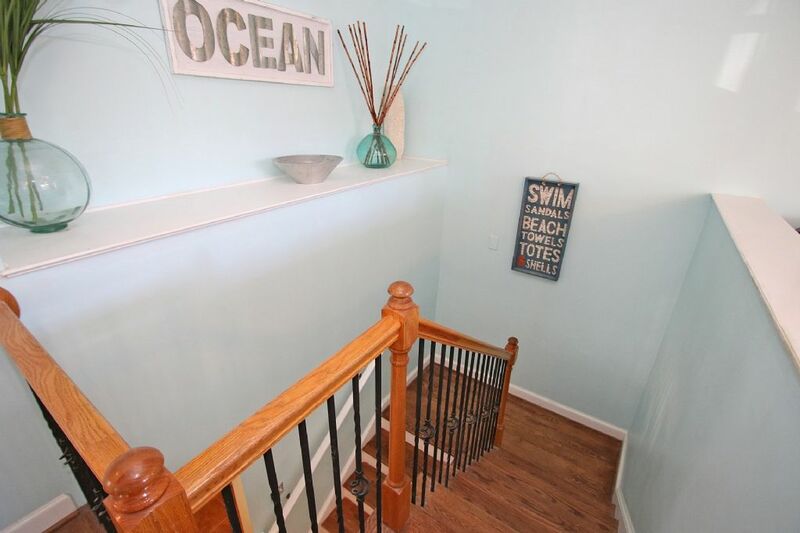 The owners have added all of their personal touches with creative artwork to give the home a great coastal feel. 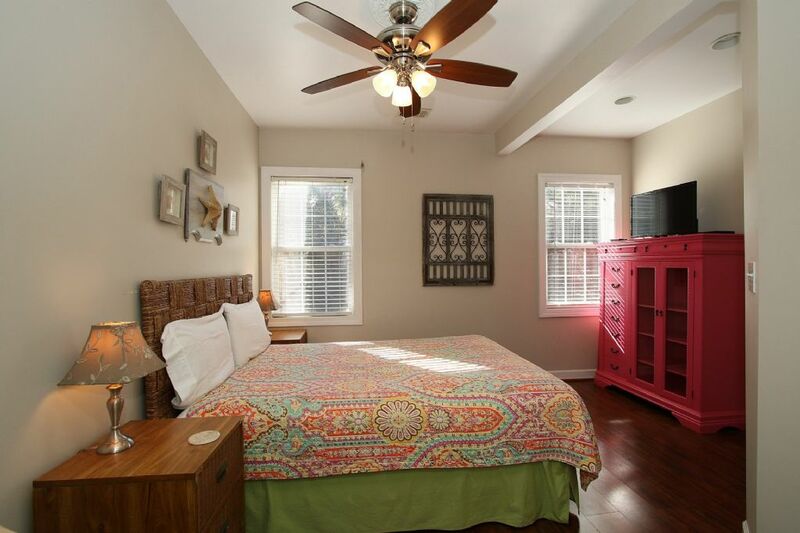 The top floor includes the master bedroom with queen bed and attached master bath with walk-in shower. 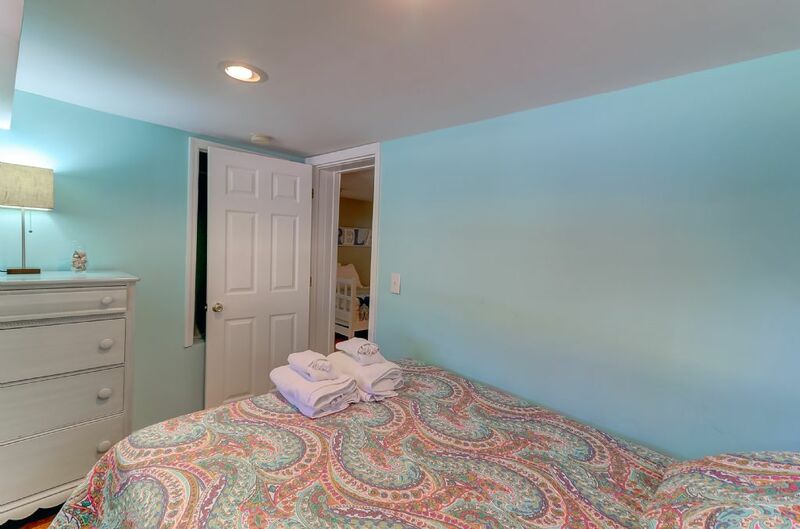 The second bedroom upstairs has queen bed. 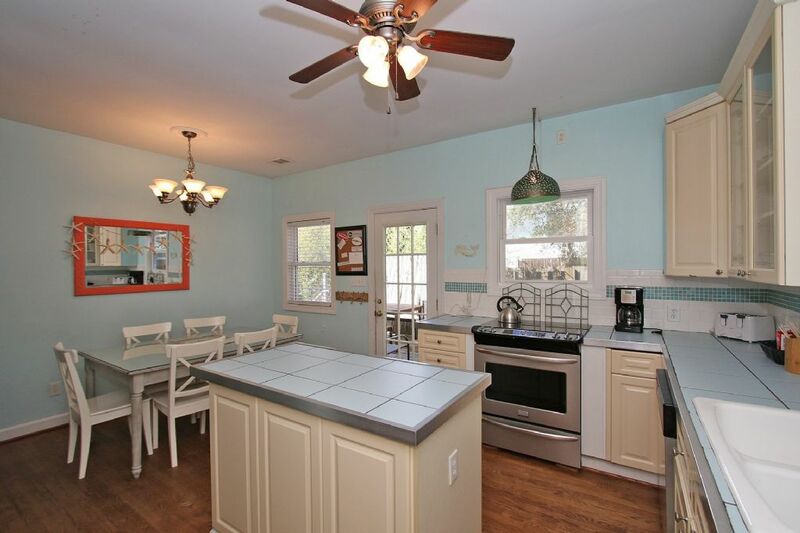 The kitchen is perfect for entertaining with center island, large dining table and access to the back porch with outdoor dining options. 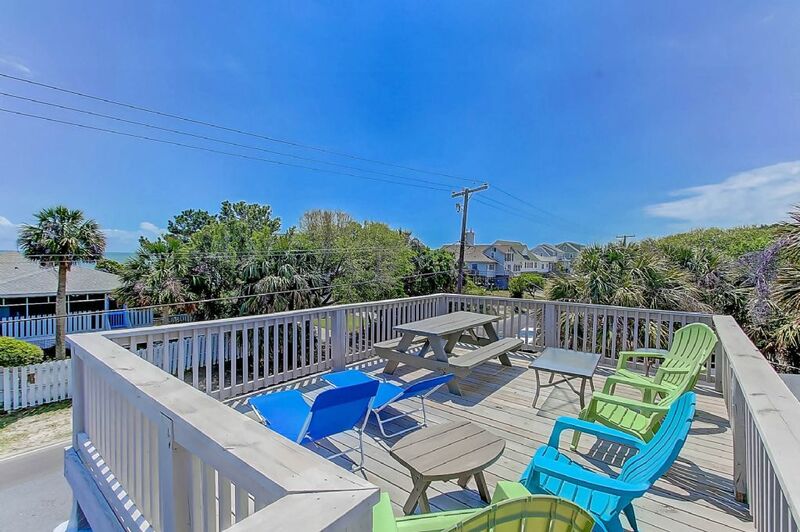 The back yard also includes a charcoal grill for guest to enjoy. 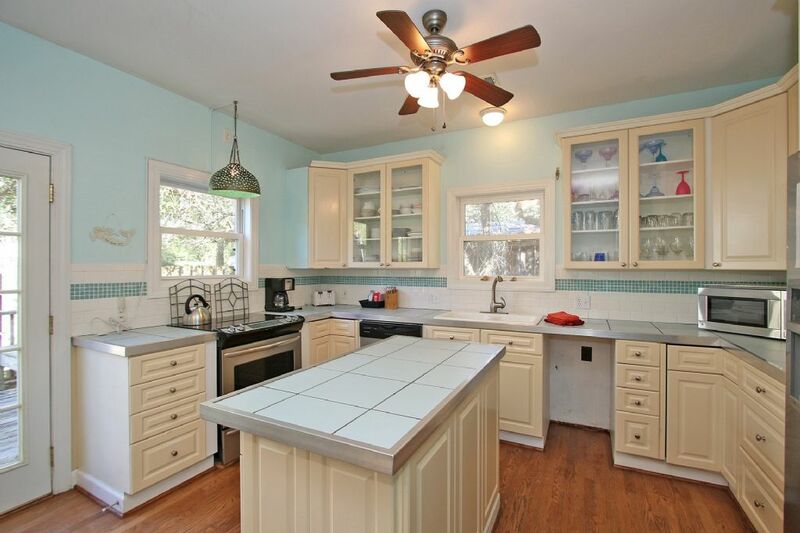 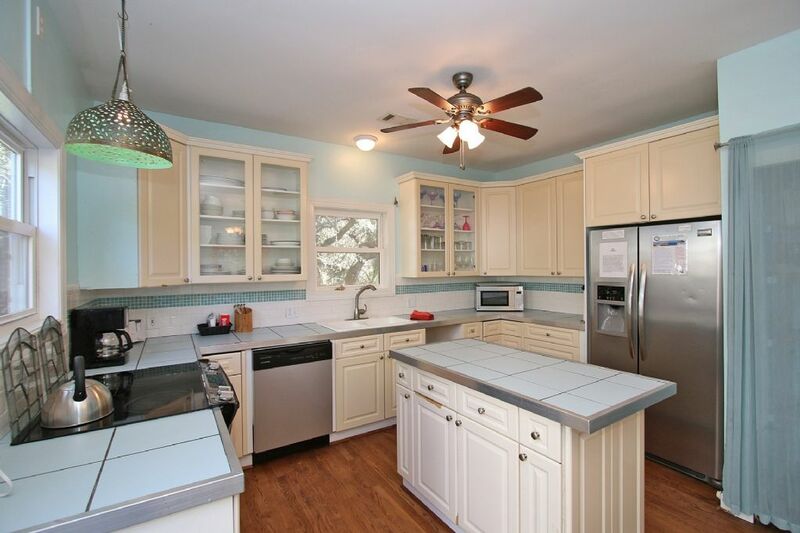 Upgraded appliances in the kitchen are perfect for even the most discerning family chef. 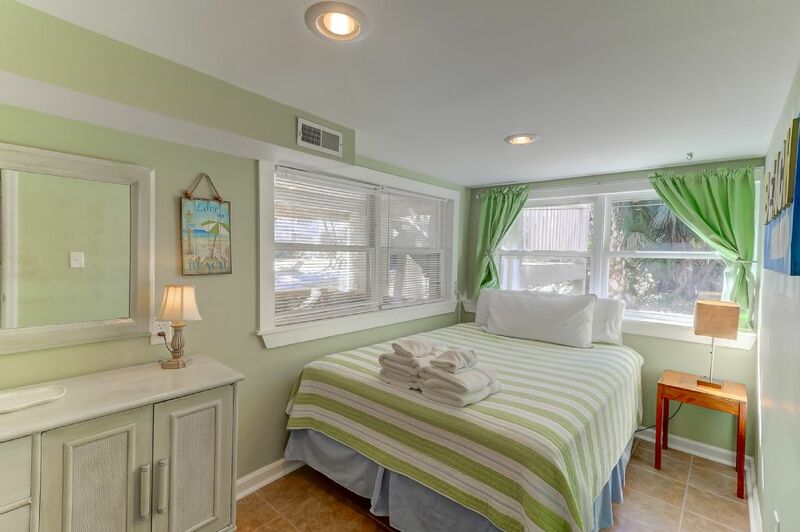 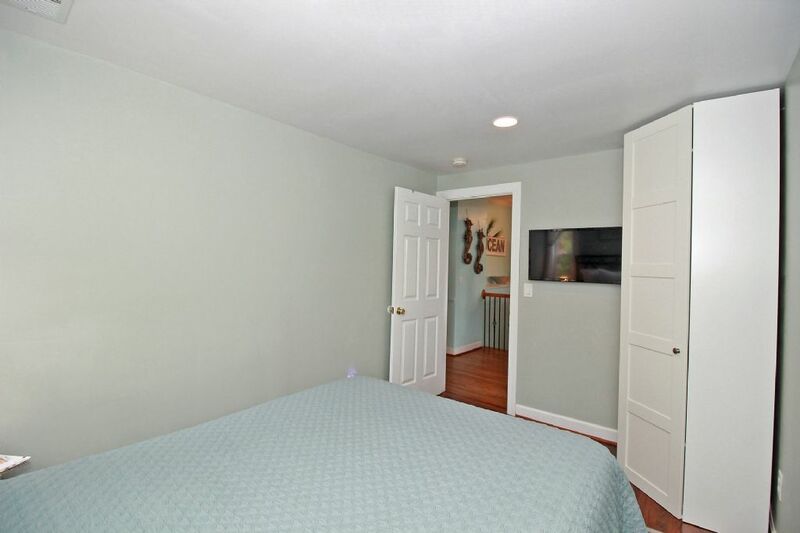 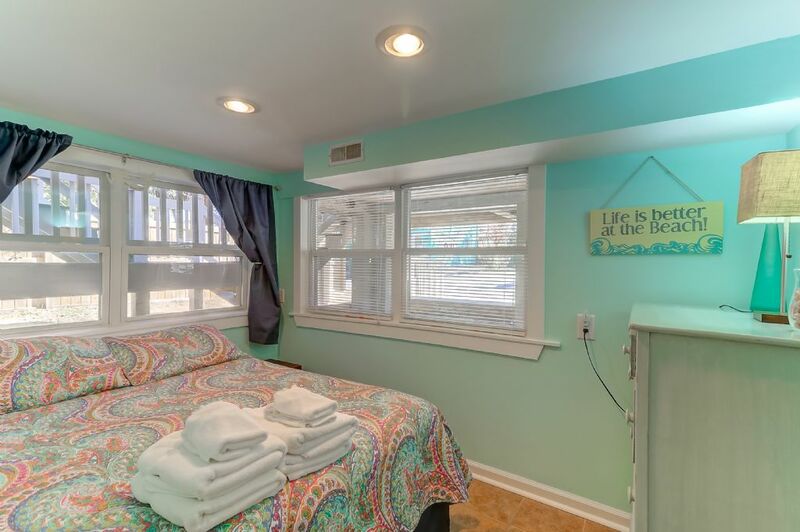 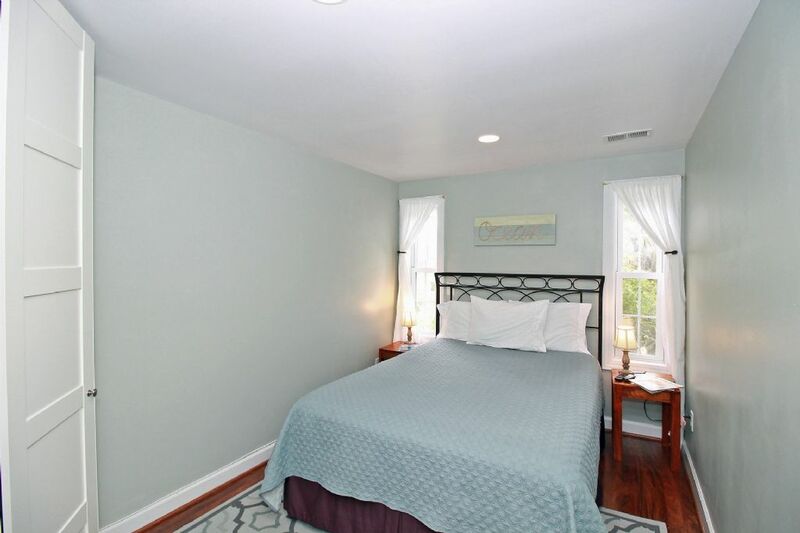 Downstairs includes three bedrooms, two with queen beds and a kids room with two twins. 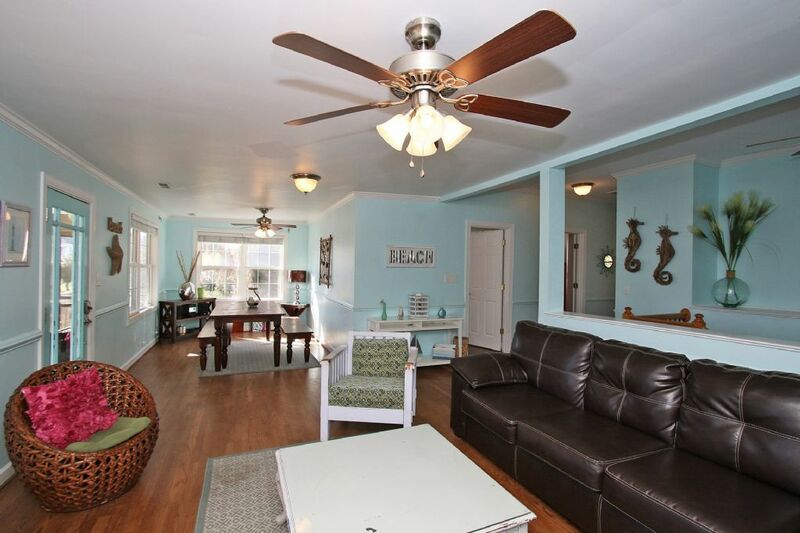 The living area downstairs has flat-screen tv to provide to living areas with entertainment options. 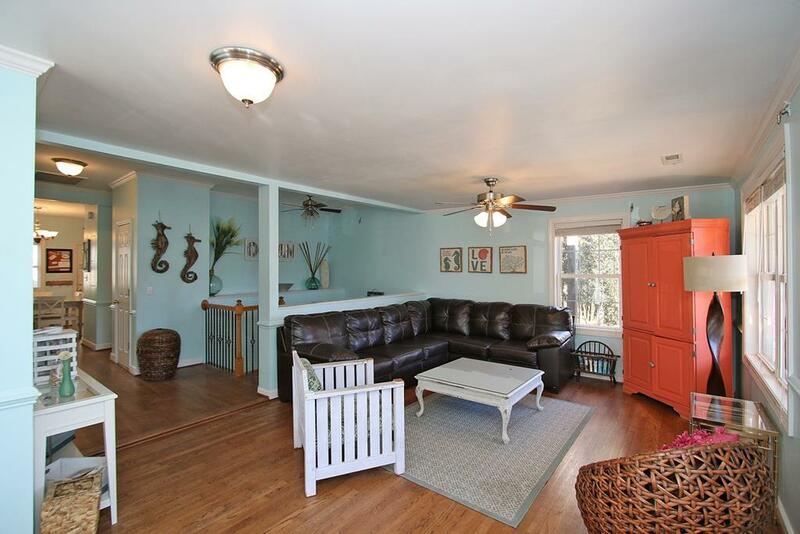 Living area also include twin daybed for additional sleeping options. 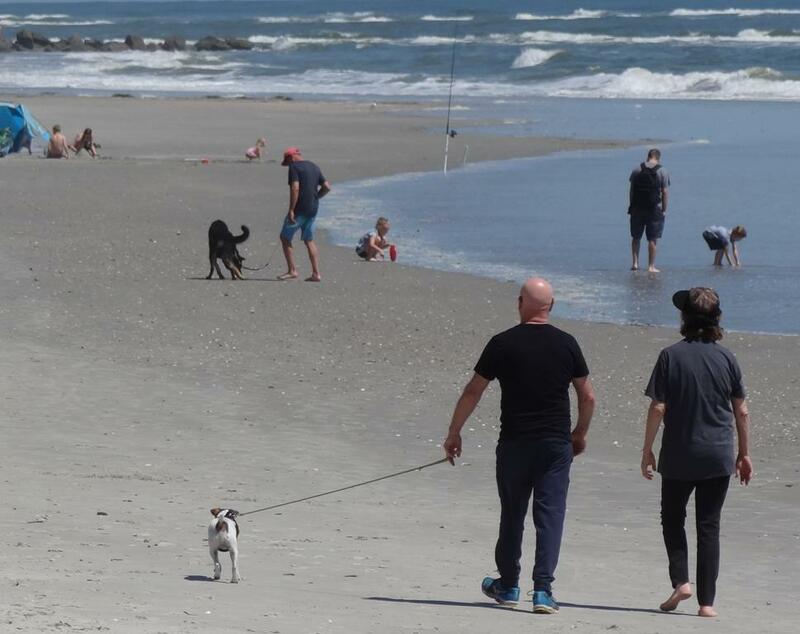 Folly Beach is a very pet friendly community with many restaurants and stores that open their outside areas to our four-legged friends. 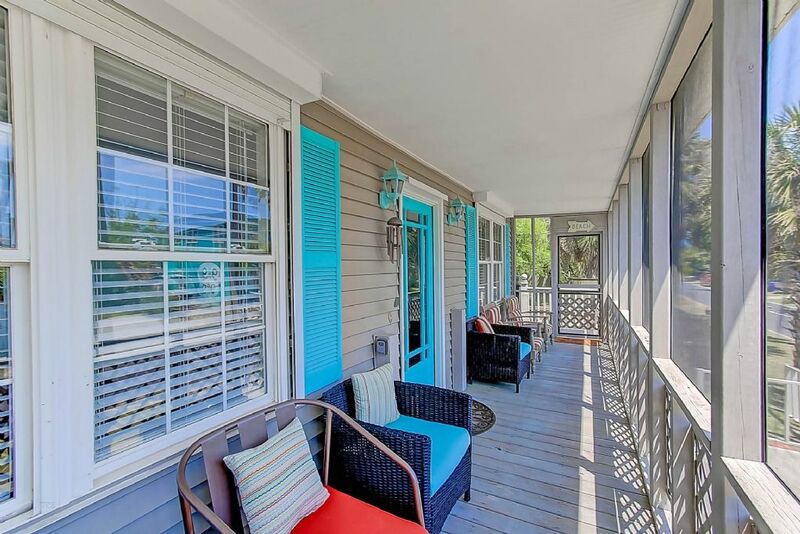 Located on a few miles from historic downtown Charleston a week may not be long enough to enjoy all 916 East Arctic and the South Carolina Lowcoutry has to offer. 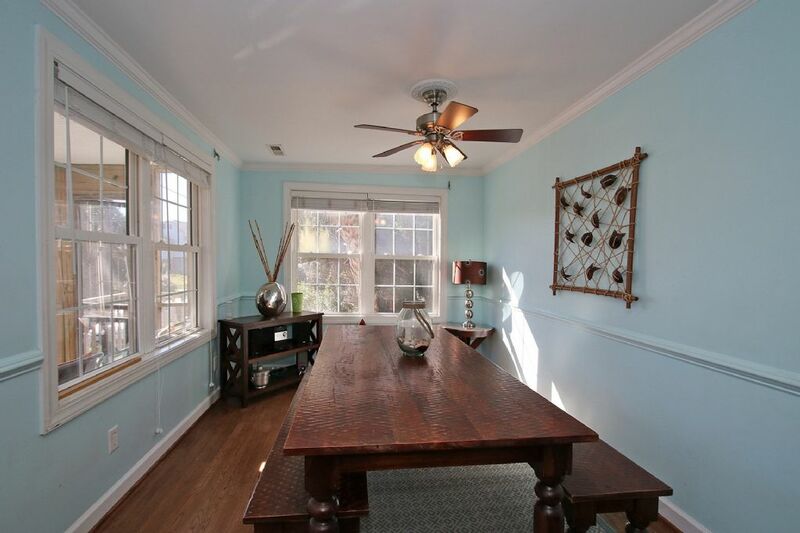 Home is on a quiet one-way street that is perfect for biking and walking. 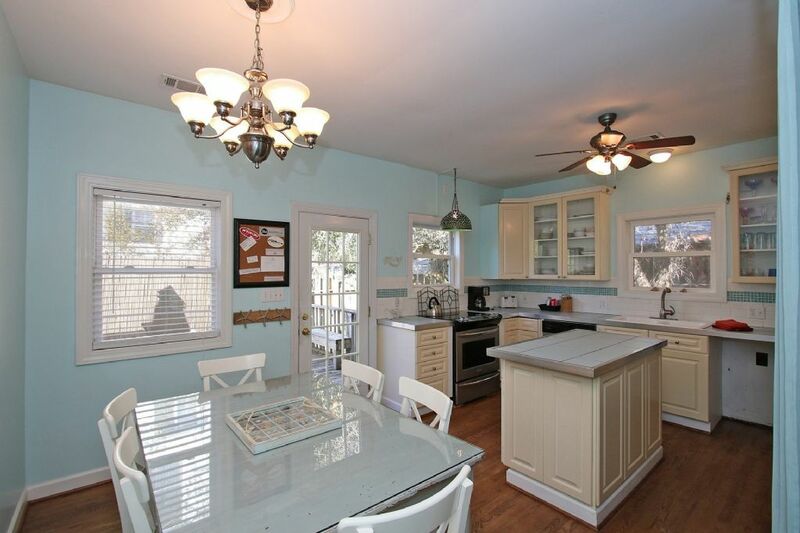 Call Carolina One at 843-588-1212 with any questions.